Do you need Installation of your Panasonic Phone system in the Los Angeles Area? Handle your Communications with a Professional Panasonic phone System. If you’re in need of a small Panasonic business telephone system, check out the Panasonic KX T or other Refurbished Panasonic Office phones or systems from Craig Communications. You can buy an unused or refurbished small Panasonic business telephone system, choosing from a variety of features and components. We offer business Refurbished Panasonic Office phones and equipment to school districts and national government installations . We can also work with businesses of all sizes. Browse our Web site to see which refurbished Panasonic office phones or phone system work for your specific application. Call Craig Communications toll-free at 1-800-306-3377 for further details. We carry All the Panasonic Phone System and Panasonic digital phones for you business. Discover the difference in quality the Refurbished Panasonic Office phones can have on your business today. Our Telephone components will help you to significantly reduce your cost when purchasing a phones system but give you the same quality and features that you are used to. If you have a growing business, you need a Panasonic digital phone system or the Analog Panasonic phone system. 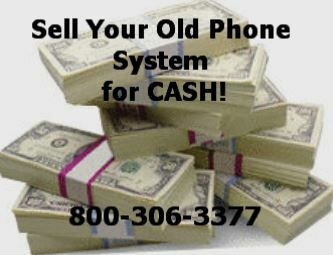 Are you searching for a Panasonic KX T Phone or a Panasonic DBS phone? At Craig Communications, we have the most popular new and refurbished Panasonic phone components and phones, including the Panasonic KX T Series and the Panasonic DBS Digital Series.We also carry all parts and components for the Panasonic KX T, VA and VB models. Both the Panasonic KX T phone and Panasonic DBS phone models are very well made products that have made a name for themselves in telecommunications solutions and we have them for much less than standard retail prices. Call us today to find out how the rerfurbished Panasonic business phone system and our new or refurbished Panasonic Digital Phone system can transform your daily business operations! We are here to help you find the right Panasonic office phone system for you needs. We sell almost all Major brands. We dont have any sales quotas to meet from the manufacturers. We want to find the right systems for your needs. Most of the Dealers in your area will try to sell you what they need to sell to reach their monthly and yearly quotas. We just provide good honest down home customer service. We want you to be a long time customer and tell your friends and business partners!